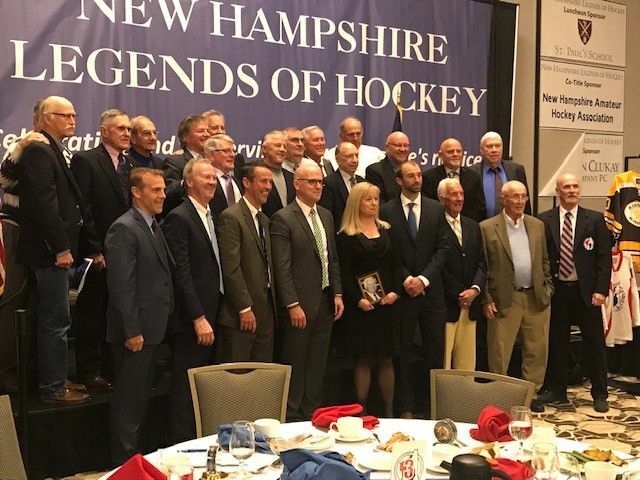 As the NHL season is already underway and the Deerfield hockey preseason kicks offs in a few weeks, the New Hampshire Legends of Hockey welcomed six new inductees into its 2018 Hall of Fame class on Sunday, October 21, 2018, included in this year’s class was current Deerfield faculty member, Brendan Creagh. According to the New Hampshire Legends of Hockey, the Hall of Fame Induction event honors New Hampshire’s hockey elite — men and women who have made significant contributions in New Hampshire as players, coaches, officials, builders, or media representatives. 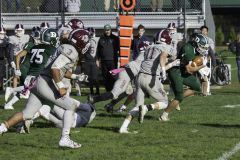 The five additional members inducted at the 17th Annual Induction Ceremony included Brian Foster of Pembroke and Rich Ryerson of Concord, inducted as players. Dartmouth College coach Bob Gaudet entered the Hall as a coach. Don McKinnon was inducted as an official and the late Tony Urban was inducted posthumously as a builder. Additionally, the hockey history of the Manchester Regional Youth Hockey Association (MRYHA) was recognized. The ceremony was held at the Grappone Conference Center in Concord, NH. Creagh played three years for Hanover High School in the late 1980s, he was the team’s leading scorer all three seasons and left as the all-time leading scorer among defensemen with 54 goals and 73 assists. 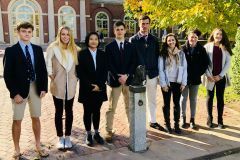 After a prep year at Phillips Andover he moved on to the University of Vermont, where he played four seasons and served as assistant captain in his senior year. He finished his collegiate career with 16 goals and 36 assists. A skilled, puck-moving defenseman, he played briefly in the AHL and enjoyed a four-year career in the ECHL making stops with the Greensboro (N.C.) Monarchs and the Birmingham (Ala.) Bulls. Currently, Creagh is a science teacher at Deerfield and recently took over as the Big Green’s golf coach. Previously, he served as the Big Green’s head hockey coach from 2003-2004 to 2015-2016 and coached current NHL players, Ben Lovejoy ’03 and Alex Killorn ’08. Congratulations Coach Creagh on this prestigious honor!